Spacers are a useful tool for styling your pages. You can use a Spacer block to create spaces between different Page Elements. 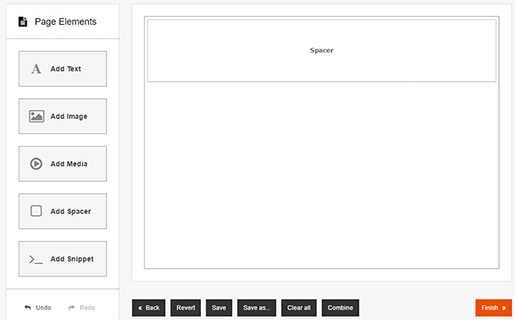 Step 1: To add a Spacer, using the Page Elements Sidebar, select the Add Spacer box and drag it to where you would like it in the Page Editor. Step 2: You can add Spacers between the elements on your page, to adjust the size of your spacers simply drag the corners of the Spacer Block. To move your spacer around, Drag & Dropit where you want it. 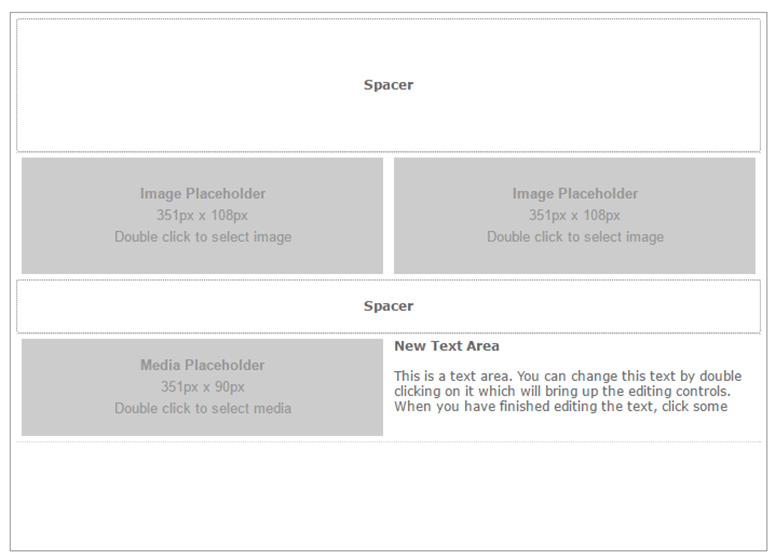 Step 3: To ensure that you have the same size spacing between your elements, you can duplicate your spacers by clicking the Duplicate button from the Toolbar below.